Food Catering the First Step Towards the Preparations of Wedding Party ! The sweet chiming of the wedding bells sets in the jubilant mood for celebration and simultaneously sparks a gastronomical response in the anticipation of the sumptuous meal that can be savoured during the wedding! 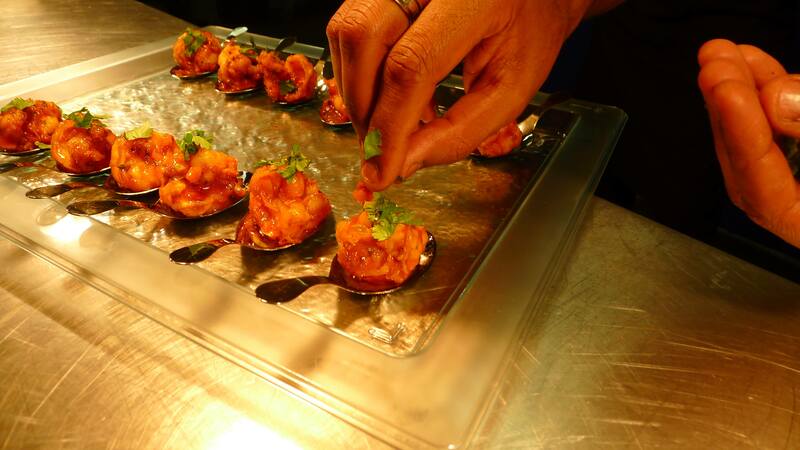 Since food forms an integral part of the wedding ceremony so it is imperative to choose the right “Asian Catering service”; after all food is what the guests would treasure as the best memory of a wedding that they once attended! A perfect wedding catering service is the one that has something to offer to every guest; irrespective of the fact that the guest is nine or ninety years of age. Out of the long list of chores that need to be done for a perfectly planned and well executed wedding; the catering service tops the priority list. Once the dates for the ceremonies have been finalized; the very first step towards the preparations is choosing the right caterer. With the plethora of options available in the market these days making the perfect choice is a tough task; so one needs to be really sure about the requirements and also discuss the same with the wedding food caterer. The first and foremost discussion should be about the dishes that one wishes to be served. One can either opt for a specific cuisine or go in for an amalgamation of two or more types of popular cuisines. This choice can also be made by keeping in mind the tastes and preferences of the guests who are invited to the wedding. The suggested safest option is to have the tried and tested recipes in the menu both for the snacks as well as the main course however it is also advisable to hire a wedding catering service which can provide some out of the box options. The dishes offered need not be so unique that the taste buds go in for a toss and the guests find them unreliable; serving the popular recipes with a twist is the key to create an unforgettable feast. The next aspect that needs to be considered to select the suitable wedding food catering is the manner in which they offer to present the food. A well prepared dish is just half the battle won for if something doesn’t pleases the eye enough, it won’t find the way to reach the taste buds! 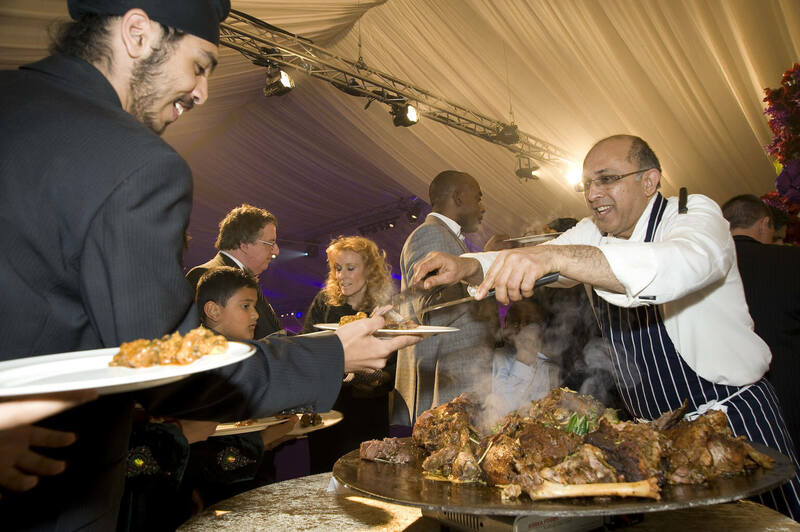 A good wedding food catering service should be able to present the food in such a manner that it appeals to one and all creating an urge to grab a mouthful at the first available opportunity. This would include playing with the right colours of the upholstery that perfectly complement the items included in the menu as well as the designs of the crockery chosen. Last but not the least; one of the most important factors taken into consideration to finalize the catering service is discussing the expected cost of the arrangement. Ideally the most preferred wedding food catering service is the one which would be able to work around the client’s budget and not the other way around. Therefore, if the wedding food catering service manages to satiate the above mentioned criteria, thereby readily meeting the client’s expectations, then the stage is set for a splendid wedding bonanza!